What books will I use in the Moot Court Intensive? The only two materials you need are the NCFCA moot court problem and the moot court casebook, which are included in the course. 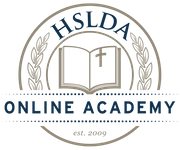 If you are not an NCFCA affiliate family and plan to compete in moot court this year through NCFCA, HSLDA Online Academy strongly encourages you to affiliate (as only affiliate families can participate in NCFCA-sanctioned moot court tournaments).